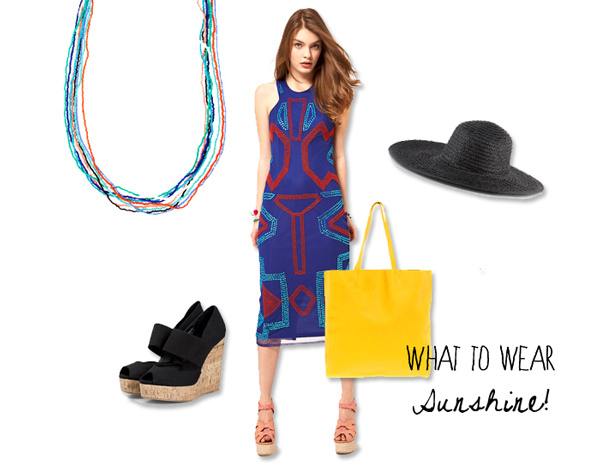 Featherhaze: What to wear: Sunshine! As you probably know, I'm working as an editor at SWYF. We got a new blog item since a few weeks: What to wear. Every day someone else is showing an outfit. I wanted to share my look of Tuesday with you guys. Finally summer in Holland! It has been scientifically established sunlight makes people happy, but wow, I am one happy person at days likes these. Most of the day I'm inside my office, but still, it will be hard to break my day. All kinds of inspiring thoughts about summer looks are flying through my head. That's why I made a What to wear about the look I would love to wear today.